Yes, Bungie finally did it. The Destiny community may have been slightly underwhelmed by the Rise of Iron reveal last night but who cares because Iron Gjallarwing! Revealed to be a Gjallarhorn-themed Sparrow, which is a first of sorts, the “Iron” variant will be available to those who pre-order through PSN, Xbox Store, Bungie, etc. 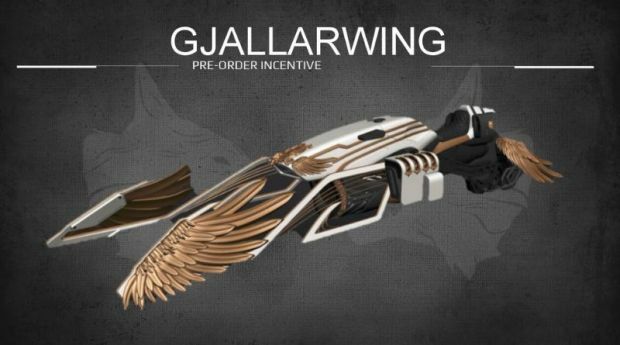 Much like the Iron Gjallarhorn, the Iron Gjallarwing will have a black shading on it. The normal white and gold shading will also be available but as a purchase from Eververse via micro-transaction. If you needed even more incentive to pre-order Rise of Iron, then netting your own free Gjallarwing should be good enough. Right? Destiny’s Rise of Iron is out on September 20th for Xbox One and PS4. Bungie promised more information in the coming weeks especially at Gamescom where it will showcase what’s new in the Crucible. What are your thoughts on the new pre-order incentive? Let us know in the comments below.